There are monolithic domes (made in, or into, one piece), geodesic domes (assembled from triangles or hexagons) and other domes which can be round, elliptoid, saucer-shaped or onion-shaped. Of course, one cannot mention domes witout mentioning geodesic dome pioneer & visionary Bucky Fuller, but so much has already been written about him elswhere. Those interested can read more at Buckminster Fuller Institute. Geodesic bubble structure can be used to create a gigantic greenhouse. 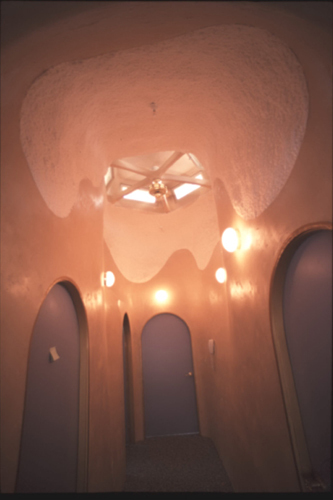 Bucky Fuller’s daughter Allegra is reported to have been delighted to see this great example of her father’s vision. 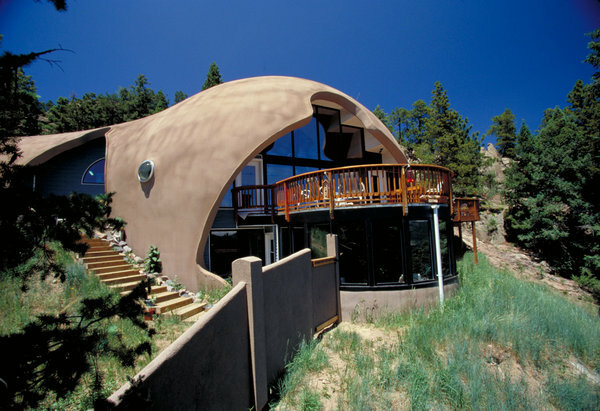 Monolithic domes come in many sizes and can be one or several stories high. Inside, they are often more modern and sophisticated than the often plain exterior reveals. Now, what exactly is so surprising about this? Any decent engineer should have been able to figure that out at least a hundred years ago. Why are we still building wind-trapping rectangular buildings in hurricane-ridden areas instead of natural, rounded shapes that the wind can easily sneak around and leave alone? Aerodynamics, anyone? Why do we keep insisting on building ‘against the grain’ when Mother Nature keeps giving us more and more drastic hints that this way of building is not working? How long are we going to insist on erecting ever new rectilinear structures to be turned into rubble in the next hurricane or earthquake? Seems like a battle we can’t win – unless we adapt to nature and build according to obvious natural laws. 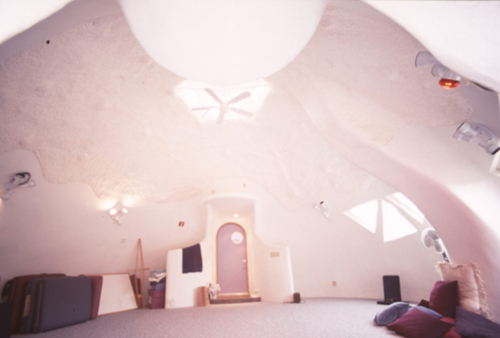 For a simpler dome design, Iranian-born Californian architect and humanitarian Nader Khalili had the idea of making domed hoses out of sandbags, a so-called super-adobe. It is said to work just as well for refugee camps as for potential colonies on Mars. 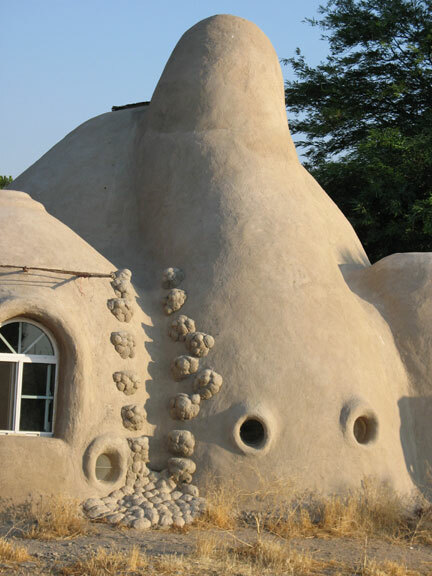 Or if you just like organic design and wish to build your own house using local sand. 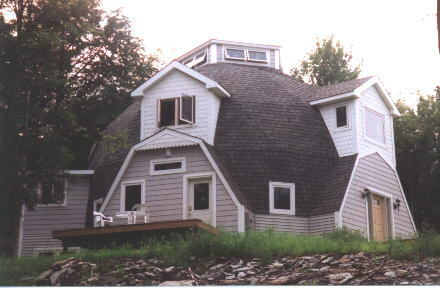 Join two or more domes together and you get a double- or multi-dome structure. Chinese-American comtemporary organic architect and designer Eugene Tsui has created some wonderful multi-dome structures which look good enough to eat. 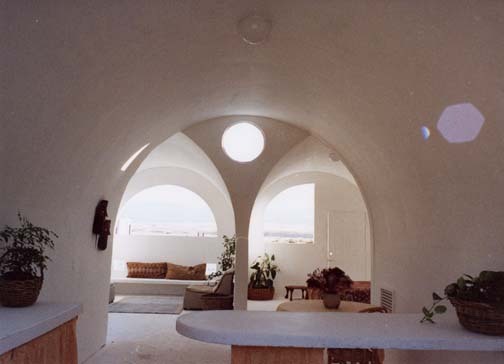 Pictures from Tsui Design & Research Inc.
Antti Lovag, of Russian-Finnish origin, is another architect who has been designing multi-domed houses in the French riviera since the 1960s. 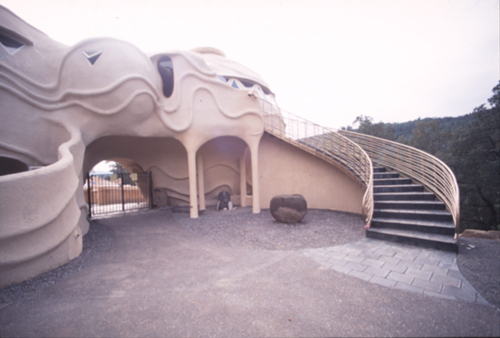 In 1970, Lovag designed the famous spectacular Maison Bulles in Theoule just outside Cannes on commission from a rich industrialist. However, despite 7 million dollars going into the building, it was never finished. In 2005 it was put on the market for sale. It was bought by designer Pierre Cardin who resumed finishing it. Concrete shell structures in the shape of semi-domes are perfect for large public arenas. 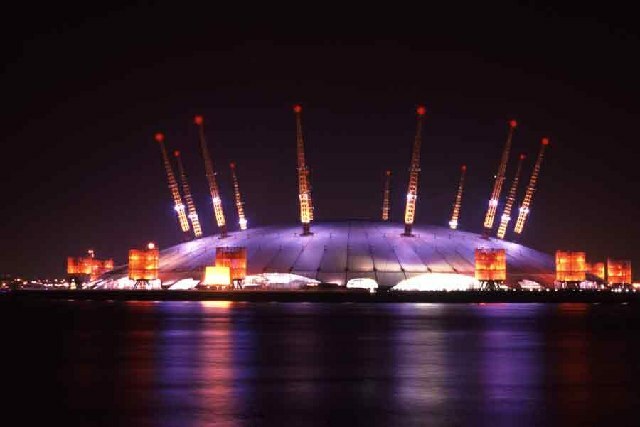 The Millennium Dome in London by Richard Rogers is a good example of how enormous a semi-dome can be built for public events. Palazzetto Dello Sport by Pier Luigi Nervi, built for the 1960 olympics in Rome, is another great example of an early use of the half-dome to create a stable structure that can house a large audience.